The ketogenic diet isn’t just a great tool for helping people lose weight and feel their best; it’s also an extremely effective method for treating the common diseases of civilization. The Keto Cure will give readers the prescription they need to heal their bodies by eating plenty of fat and moderating protein and carbs. Dr. Adam Nally has been advocating a low-carb, high-fat diet in his clinical practice for more than fifteen years, helping people address their health problems by making better food choices. Dr. Nally and bestselling low-carb author and podcaster Jimmy Moore have worked together to create a top-50 health podcast espousing the benefits of eating keto. Now, for the first time, Dr. Nally has teamed up with Moore to take his years of clinical experience, put everything down on paper, and create a how-to guide that details all the ways in which the ketogenic diet can help remedy common ailments. 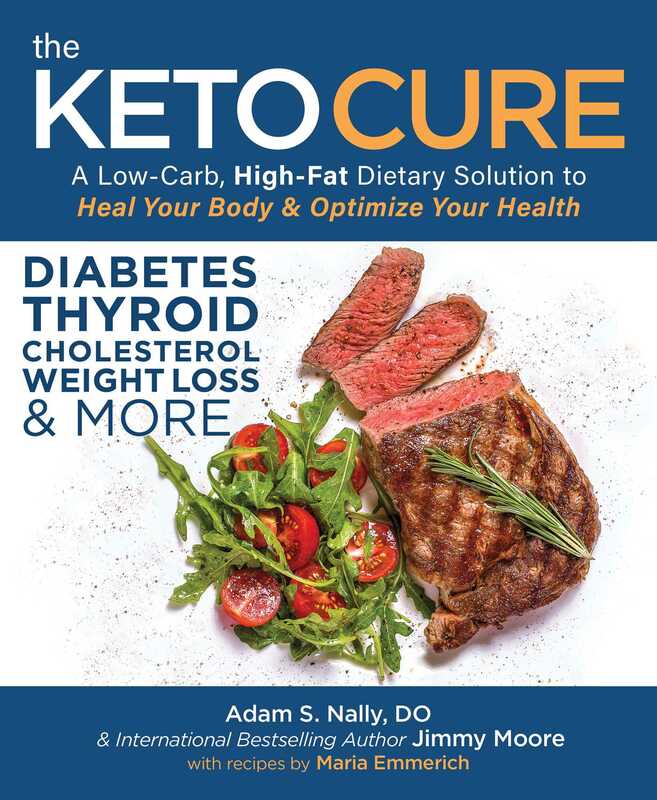 The Keto Cure also outlines practical tips gleaned from Dr. Nally’s fifteen-plus years in medical practice, as well as Moore’s ten-plus years as a health and wellness podcaster, on overcoming the common pitfalls that people experience when adapting to a high-fat way of eating, including fatigue and keto flu. This helpful information, combined with a wide variety of delicious keto recipes from international bestselling cookbook author Maria Emmerich, makes The Keto Cure a complete resource for healing oneself with the ketogenic diet.